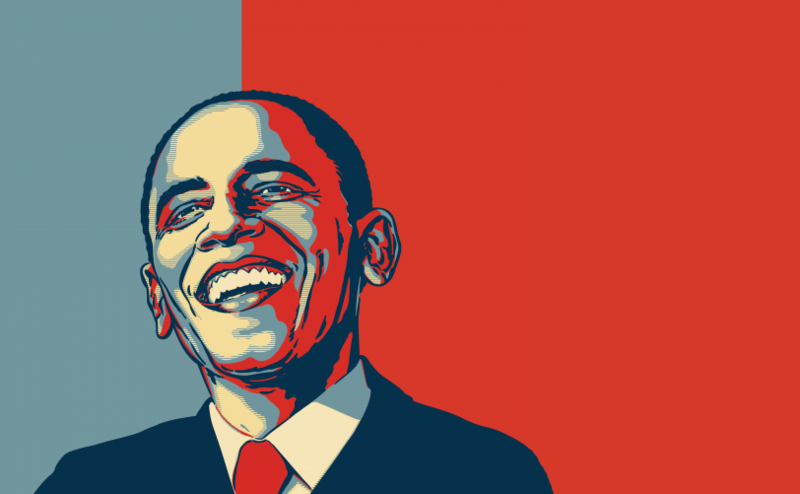 What another term for the Obama Administration means to brokers. As The Council’s lobbyist, I careen between practicality and ideology on presidential and congressional politics, perhaps never so intensely as in the past three months. Two examples come to mind. The first came in a conversation at my church, only two days before the November election. I was talking to a good friend, who was a mentor to my son a couple years ago. Her day job is chief of staff to an Obama Cabinet member, overseeing a staff of 150,000 employees. Needless to say, she had a lot riding on the election. That felt right. Despite the nastiness of the campaign, and notwithstanding the Romney/Ryan sign in my front yard, my sense is that President Obama is a good guy. I’ve had only one small meeting with him, when he was a senator. There were just four of us in the room, and despite the dreadfully boring subject of surplus lines modernization, he could not have been friendlier. I agreed. Four more years seemed nightmarish to me. Mountains of debt on my kids’ backs. A healthcare reform law that does more damage than repair. Ideological polarization more extreme than ever before. I sure didn’t feel like everything was going to work out. When the president claimed “Obamacare” for himself at one of the debates, it no longer became a pejorative, although brokers still consider it so. But I’m a lobbyist. I must live with my cognitive dissonance. As the late Sen. Everett Dirksen, R-Ill., once said, “I am a man of principle, and one of my principles is flexibility.” With maximum flexibility in mind, let us contemplate how things are going to work out for the insurance industry in a second presidential term for Barack Obama. When the president claimed “Obamacare” for himself at one of the debates, it no longer became a pejorative, although brokers still consider it so. Once the Supreme Court ruled on the constitutionality of the Affordable Care Act, many Americans remained hidden under their desks awaiting the election results. That didn’t upend Obamacare, either. It’s astonishing to me that so many Republicans continue to think that the ACA is going to fail. It may well fail, but there will be no return to the health insurance marketplace that predated its passage. Only 18 states and the District of Columbia moved forward with plans to set up their own statewide health insurance exchanges ahead of a key December deadline. States can also choose to set up an exchange under a state-federal partnership, with a decision on that option due Feb. 15. If any state is undecided after that, the federal government will run that state’s exchange. Most Republican governors decided to wash their hands of running an exchange or doing it in partnership with the feds, figuring the exchanges will be a hot mess. Further, they argue that they haven’t received enough guidance from the federal government about how the exchanges are supposed to work. For good or ill, healthcare reform is President Obama’s signature legislative accomplishment, and he will never again enjoy the kind of legislative majority required to enact something on its scale. President Obama has his foot on the gas pedal. Indeed, implementation may be chaotic. Migration from employer plans to subsidized exchanges could well be much more brutal than most Democrats anticipate. The promise that you can keep your insurance if you like it may be completely hollow. But the act is moving forward. Expect the Department of Health and Human Services to be extremely flexible on deadlines for exchange development but adamant on the implementation of exchanges effective January 1, 2014. One of the more intriguing theories is that the large national health plans may actually like the dearth of state-based exchanges, favoring the simplicity of a single national exchange. That may or may not be the case, but this theory only plays out as the national health plans become more like deeply regulated public utilities. The Affordable Care Act may have been enacted through the vilification of big health insurers, but it perversely will only grow the power of BUCA—Blues, United, Cigna, Aetna—and a handful of others. There are, of course, unresolved broker- and employer-specific issues that abound in the corners of the ACA. How much will individual states rely on brokers for exchange services? How much will the feds? Beyond the retail and hospitality industries, how many clients will kick the tires of paying the penalties and sending workers to subsidized exchanges? How much sticker shock is there going to be from the guaranteed-issue and community-rating rules yet to come, especially as the individual and employer penalties bear no similarity to the actual cost of insurance? Newly retired Rep. Barney Frank, D-Mass., had a moment of candor during the debate over Obamacare, saying Congress should pass it because it would lead to single-payer, British-style healthcare. In fairness, the overwhelming majority of his Democratic colleagues who supported the legislation don’t believe that. We won’t find out who’s right in 2013. But by the end of President Obama’s second term, we’ll have a really good idea.